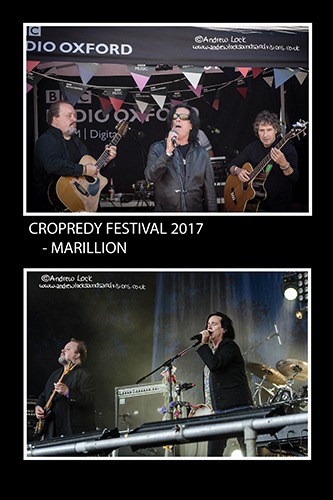 As I have mentioned before I had a wonderful experience at my first Cropredy Festival last year when I managed to get a pass for the Saturday (mainly to catch the mighty Marillion admittedly), I had the best welcome I have ever had as a photographer at a big event and the organisation, the music the facilities were all second to non. Really happy that they have granted me a pass again this year and hope to attend at least one if not two days of this years event. Although a folk festival in essence there is always so much more going on musically and this year that includes Beach Boy ‘Brian Wilson’ headlining on the opening Thursday with a full performance of the iconic Pet Sounds album and hopefully throwing in a few older classics. Friday is the main day for me as the mighty ‘Fish' (ex Marillion vocalist although that is a long time ago now!) takes the stage in the afternoon for hopefully a set mixing the cream of his solo material with a couple of Marillion oldies and I know I am a little biased! but for me he is one of rocks best showmen, and then headlining we have a folk with a rock/punk edge set by the wonderful ‘Levellers’. Folk fans are of course well catered for with ‘Fairport Convention’ (the reason the festival exists lest we forget) both opening and closing the whole thing with an acoustic set on the Thursday afternoon and a full electric set with guests for the Sunday headline slot. Elsewhere over the weekend we have the folk sounds of Al Stewart, Kate Rusby, Oysterband and many more. If you have been before you will know what a special event it is if not I highly recommend you give it a try, you will not be disappointed.